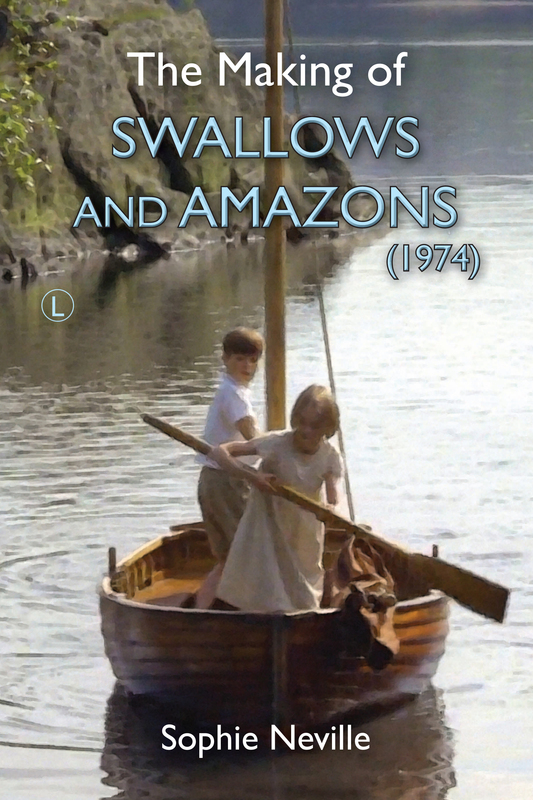 ‘Four out of six missed him and hit me’ ~ filming ‘Swallows and Amazons’, 8th July 1973. I am sure that as children we could be intensely irritating, especially when we were hanging around with not enough to do. Although we had found our lessons tiresome they’d kept us occupied and out of mischief. It was now a Sunday, right the end of the summer term and the red double-decker school bus was no longer with us. Neither was the large camera box that the crew put Sten in to keep him quiet. Although the day was full of essential activity there was no major scene to focus on. It was the last day Ronald Fraser could be with us. Claude Whatham must have had vital shots to pick up so that the scenes set in the houseboat would cut together. It was probably just as well there was no dialogue to record. Ronnie, it has to be said, was a little the worse for wear. Although he managed to play the accordion as Swallow and Amazon sailed into the distance, Uncle Jim was still drunk from the Wrap party two days before. “…now and again Captain Flint played his accordion to camera. They told us to lie on the floor. Ronald Fraser started throwing books at Sten. Four out of six missed him and hit me. One hit me in the face and the cover fell off. The others he hit. Then he threw all the parrot’s food over us. Plus the tin. ” Scandalous! Perhaps I ought to explain that when the parrot’s cage was lowered into Swallow there was no parrot inside. Instead there were four children finding parrot seed that had made its way inside their costumes. Our little ship still had much work to do. David Blagden was with us, making plans with Claude and Denis Lewiston to film more shots of us sailing in, what we hoped, would be sunny weather. Claude was desperate to get the shot of us arriving for the first time at the Peak of Darien ~ Friar’s Craig on Derwent Water. He wanted to capture this just before the sun went down. Peter Robb-King, the Make-up Artist was insistent that the tans we had naturally gained over the summer be toned down. He had no help and preparation time had not been scheduled. Dabbing the four of us with a tiny sponge took ages. I don’t know why he bothered with my legs, as I really hadn’t changed colour, but he was a perfectionist. Mum kept saying that it was getting so dark no one would ever notice. ‘Who’s going to be looking at your legs?’ as Nancy Mitford’s nanny would have said. By the time we were ready the sun had set. Claude missed the chance to film this vital scene. Again. It was the second time we had arrived too late for it to be captured. Did we feel silly travelling back to Ambleside in full costume? We were cheeky and full of beans one minute, shy the next. It is difficult to reach the balance between becoming confident and being over confident when you are twelve years old. But, we were learning, and we learnt a great deal on those days spent out on the water in the Lake District. This home-movie footage my mother shot shows the actors and crew relaxing after lunch on the shore of Derwent Water in Cumbria. Suzanna Hamilton, Kit Seymour, Simon West and Sophie Neville wait for Ronald Fraser, playing Captain Flint, who walks down the jetty and leaves for his houseboat with hair stylist Ronnie Cogan and Make-up Artist Peter Robb-King. Sophie Neville can be briefly seen sitting in the motoboat wearing the yellow Donny Osmond hat. Daphne Neville appears at the end presumably having handed her camera to someone else.